Wish Bingo Review | Claim 120 FREE Bingo Cards On Deposit! If you were to wish for anything from a genie, it would probably be lots of freebies, right? At Wish Bingo they have you covered with welcome bonus giving you 120 free bingo tickets when you deposit £10. New players will also unlock access to no deposit bingo games immediately after registering an account. No card details are required, just sign up, head over to the free bingo tab and away you go. Get 120 free bingo cards when you add £10. Play with 60 free tickets on your second deposit. Stay loyal and receive 30 free cards on your third top up. Make a wish to win a fantastic prize in the weekly Wishing Well game. Loyalty points on every £1 spent. There’s no code needed to get your hands on any of the bonuses or promotional offers. However, it’s always worth keeping your eyes peeled and your details up to date to be informed of one-off bingo bonuses. If you can’t get enough of Wish Bingo and want to take all the fun and games with you then you can use their mobile site. Everything here is perfectly optimised for whatever sized screen you’re playing on, so you can get online with tablets and smartphones too. This means you’re never far from the genie or a big win! Just type in the same URL on the browser of your mobile device to get to the mobile site and use the same logins to get to your account. One thing is for sure with this site, you’ll never need to wish for something new to play. All of their games are updated and added to on a regular basis, which means that there’s always something new to play. Jump into their bingo lobby and you’ll find both 75 and 90 ball games as well as 5 line bingo, so pick your favourite and get started. These are all organised by jackpot and ticket amounts which gives players the option to play penny bingo or high roller bingo. The brilliant, bursting jackpots here come in all shapes and sizes. They have everything from exciting sliding jackpots to safer guaranteed jackpots, with everything in between! There are slots on the site too, so you can have some casino fun while you’re visiting this genie. These are regularly added to with the latest games, like Jack Hammer 2 and Starburst. Check out their mini-games too and you’ll have even more chances to win. If you fancy games with a Vegas feel then they have plenty of table games, like blackjack and poker, for you to try your luck on. 120 free tickets to be claimed on your first deposit. Bingo games start every few minutes. Pink site might not appeal to all players. VIP exclusive games that not all players can play in. Deposit on this site with a Visa, MasterCard, Neteller or Paysafecard. Withdrawals can be made from 48 hours. The minimum withdrawal amount is £5 per transaction. Customer service phone number: 08082 387 546. 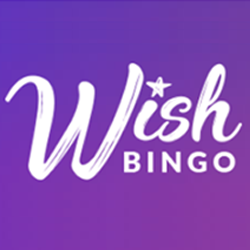 We’re happy to recommend Wish Bingo to our readers, as this is a site that was built for players. You can feel confident that you’ll be having a brilliant time each time you log in you’ll find something fun. There’s nothing missing for players on this site, as there are bonuses galore and more than enough games to play on. Jump right in with this bingo site and find out if you have what it takes to become sultan of the bingo lobby!